Pass by Berber villages and see Berber lifestyle. 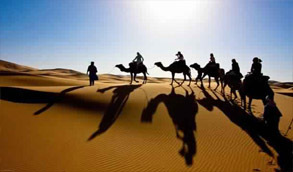 Today morning is the first day of 4 days trip from Marrakech to Fes. After leaving the city of Marrakech behind, we head south over the Tizi n’Tichka Pass (2260m). In this pass we enjoy superb views of the mountains and of the Berber Villages. We stop for lunch in a traditional restaurant and visit the Kasbah of Ait Ben Haddou. It is a World Heritage site since 1987. This famous kasbah has been used as the backdrop for more than 20 films. After lunch we continue through Ouarzazate, which is the gateway to southern Morocco. Later continue towards the Skoura oasis, which is a fertile area lined with immense palm groves. Following on from Skoura we arrive at the Valley of Roses. After breakfast at the hotel we depart Dades Gorge and head towards Todra Gorges: a massive fault, rising to 300m in a narrow valley. Thickly dotted with palm groves and Berber Villages. After lunch in the gorge, we go further into the Sahara to Merzouga which has the largest natural underground body of water in all Morocco and stands on the edge of the great sand dunes of Erg Chebbi. Our next stop will be at Mfis, a small village to the south-east of the dunes, close to the coal and copper mines. 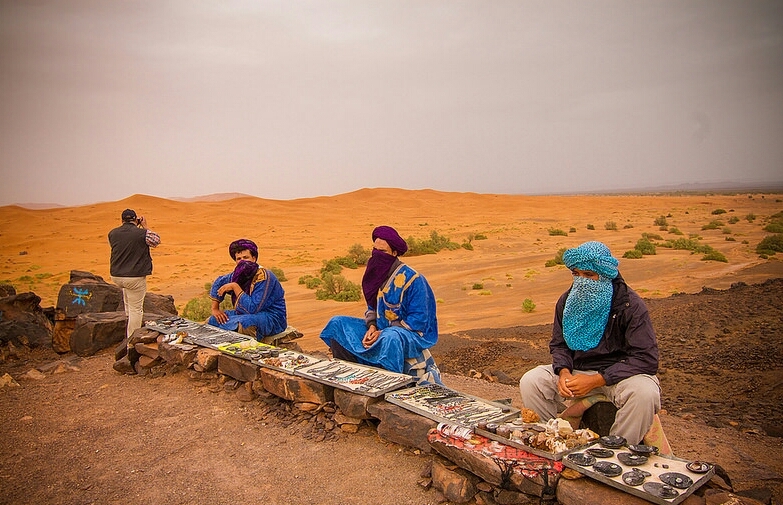 It is where most of the people in Merzouga used to make their livings. 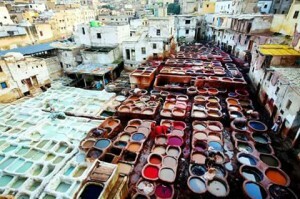 After breakfast in the desert, we depart to Rissani where we visit the traditional Berber suq. Leaving Rissani we travel through the Ziz Valley and Errachidia. We will stop en route for lunch before reaching Azrou. There is a cedar forest which is home to a troupe of Barbary apes then heading to Ifrane which locals call the Switzerland of Morocco, we may have stop or continue to Fes and drop you off in your Riad/Hotel. End of our 4 days trip from Marrakech to Fes.